Muslim men arrive at the Id Kah Mosque for the morning prayer on Eid al-Fitr in the old town of Kashgar in China’s Xinjiang Uighur Autonomous Region. The United Nations has received credible reports that China is holding as many as a million ethnic minority Uighur Chinese and other ethnic minorities in internment camps for the purpose of “political reeducation.” The UN report, released August 10, said that the Chinese government has created what is essentially a “massive internment camp that is shrouded in secrecy.” The mass arrests amount to an ethnic cleansing campaign, a systematic attempt to snuff out religious dissent and political discord in China. The Uighur ethnic group is primarily Muslim. 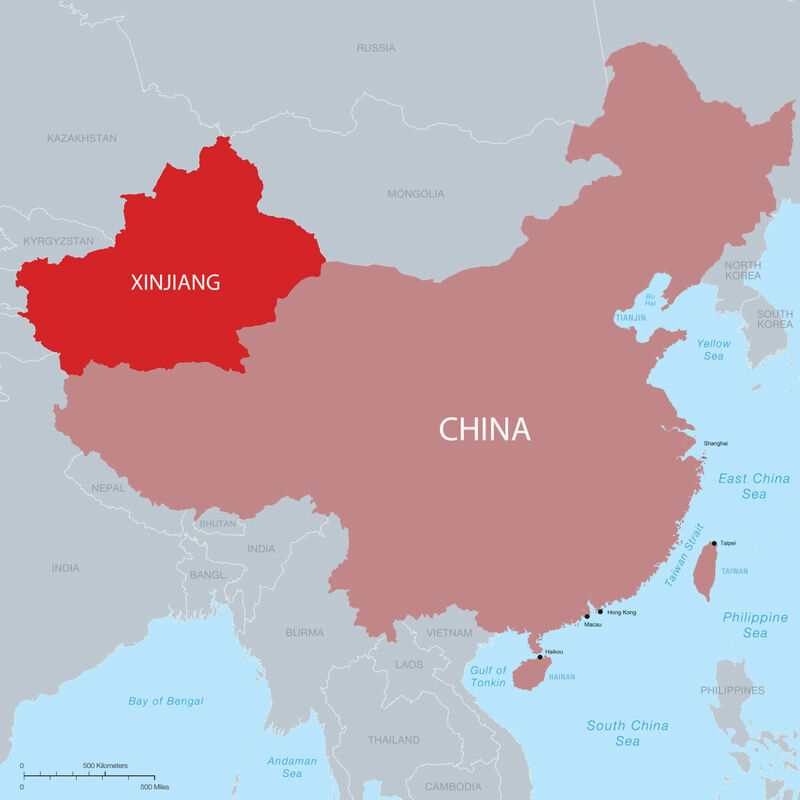 More than 10 million Uighurs live in northwestern China in the autonomous Xinjiang region, an area with valuable oil deposits. However, the region has only been under Chinese control since 1949, and some Uighurs want their freedom back. Ethnic tensions there are high. 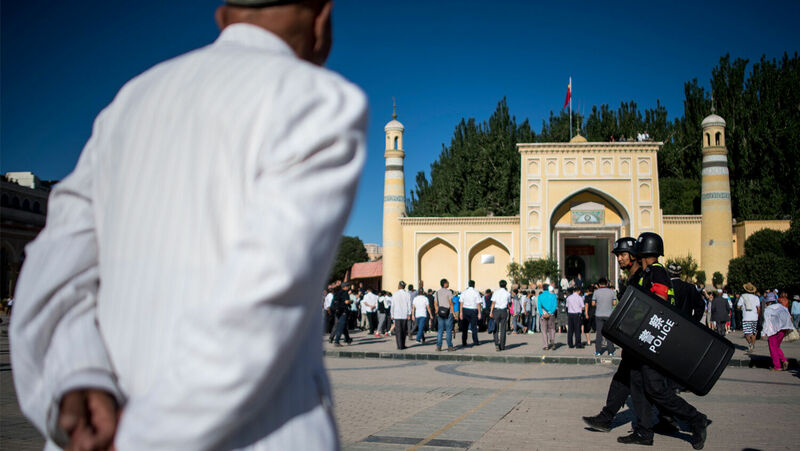 After several incidents of violence in Xinjiang between Uighurs and Han Chinese (the largest ethnic group in China), the Chinese government cracked down on the Uighurs, blaming the violence on Islamic extremism. China’s Communist government strictly controls religion; religions not approved by the government are persecuted or banned. China officially recognizes five religions: Buddhism, Islam, Catholicism, Protestantism and Taoism. However, each of these religions is directly supervised and controlled by a state-run organization, such as the Patriotic Association of the Catholic Church in China, for example. Following a religion other than these five is a criminal offense. Only state-approved religious materials are allowed. Religious adherents can be arrested for possessing or distributing material that is not government approved. One way China does this is through reeducation camps. Chinese Muslims who have been released from reeducation camps tell stories of being arrested because they showed signs of “extremism.” These signs can include wearing Islamic-style clothes, having a long beard or a Muslim name, praying at a mosque more than once a week, being caught with religious content like Koranic verses on a mobile phone, or sending nongovernment-sanctioned religious materials to other people. A former instructor from one reeducation camp in Xinjiang explained how the process works. Once arrested, religious prisoners often sit in jail for days, weeks or months before they are taken to reeducation camps, where they are forced to watch hours of propaganda videos denouncing extremism. They are required to memorize and recite pro-Communist Party slogans, songs and chants. Muslim prisoners must repeatedly apologize for and criticize their religious beliefs, saying, “We have done illegal things, but now we know better.” Sometimes, Muslims are forced to violate their religious beliefs by eating pork or drinking alcohol. Instructors question detainees constantly: “Do you obey Chinese law or sharia? Do you understand why religion is dangerous?” Wrong answers lead to punishment. Islam isn’t the only religion targeted. In 2017, China declared that Christianity was a “national security threat.” Chinese Christians have been told to replace Christian symbols in their homes and businesses with images of Xi Jinping. This month, the Chinese government commanded that all religious buildings fly the Chinese national flag outside their facilities. Many informal “house churches”—private homes and unofficial buildings where religious observers hold services—have been targeted and destroyed. Mao Zedong ruled China as chairman of the Communist Party for decades, exercising authoritarian rule, establishing a cult of personality, “reeducating” dissenters, and killing somewhere between 30 million and 70 million people. Since coming to power in 2013, Xi has cemented his control over the Chinese government. In March this year, the Communist Party announced that it was abolishing term limits for the president, meaning that Xi can rule China for as long as he pleases. As long as Xi, who is also the head of the Communist Party of China, sees religion as a threat to China’s Communist values, his campaign of religious persecution is likely to continue. For religious and ethnic minorities like the Uighurs, displaying convincing support for Communist ideals to the police, the common passersby and potential spies is the only way to remain safe. These stories of religious persecution show the character of the rising Chinese state and its powerful strongman.